Dr. Rosemary Dziak is a professor in Department of Oral Biology at SUNY at Buffalo. 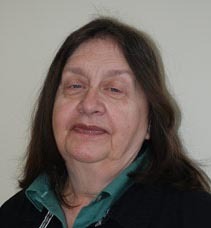 Dr. Rosemary Dziak has completed her PhD in Radiation Biology from University of Rochester in 1973 and Postdoctoral Fellow in Pharmacology from Northwestern U Medical School (1975). She is Co-Director in Institute for Research and Education on Women and Gender, University at Buffalo from 2005 to present. She was professional member of International Association for Dental Research in 1989.